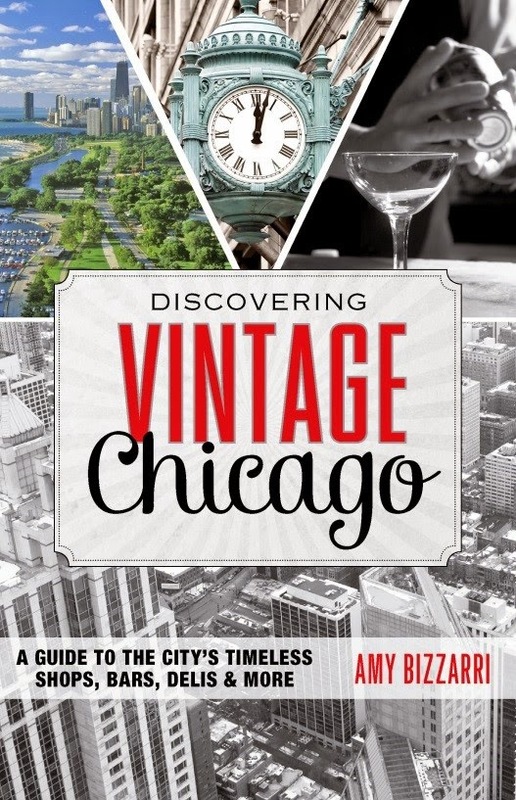 Releasing May 7, 2015 by Globe Pequot Press, the trade division of Rowman & Littlefield, Discovering Vintage Chicago is a guide to all of the city’s timeless classic spots that take you back in time. The book spotlights the charming stories that tell you what each place is like now and how it got that way. It includes indexes that let you choose the places you want to visit by neighborhood, by category, and—naturally—by era. Discovering Vintage Chicago takes you to classic restaurants, shops, and other establishments that still thrive today and evoke the unique character of the city. They’re all still around—but they won’t be around forever. Start reading, and start your discovering now! Amy Bizzarri is an extreme Chicago history buff and freelance writer who also covers travel for the Chicago Convention and Tourism Bureau. She resides in a vintage 1910 home in the Logan Square neighborhood of Chicago. Read her blog at DiscoveringVintageChicago.com.